Design + anthropology + China = parent lock PC? An example of the nature-nurture problem in design could be determining whether physical or cultural differences might account for different responses of Chinese children and Chinese adults to a technology. The methodological approach to this problem requires both ethnographic and ergonomic research. On the nurture side, a team of design anthropologists would need to carry out ethnographic interviews, observations, ask people self-document their experiences, and perhaps participate in Chinese household activities. On the nature side, they would have to take physical measurements of Chinese adults and children in a lab or in the field, create databases and tables. 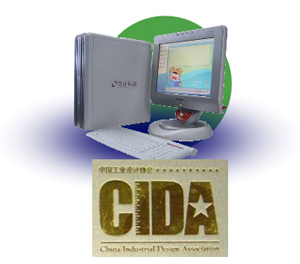 Intel may have followed this approach in its 2005 design of the China Home Learning PC. Design anthropologist Dr. Genevieve Bell and her team observed and interviewed Chinese families with school-aged children. The team provided Intel with ethnographic insights about the educational aspirations of Chinese families. One of their main insights was that Chinese parents viewed the computer as a distraction from their children learning Mandarin for school, which was an answer to the nurture question. But also, as part of their design process, Intel would have tested how adults and children interact with the hard and software features of the PC. The result was a physical lock-and-key mechanism that, from across the room, could alert Chinese parents to when the PC was being used in an “open mode,” which allowed for surfing the web of playing games, versus in an “education mode,” which restricted their child to schoolwork. Ironically, I also worked on a similar idea during my sojourn at Microsoft Research in Beijing. Looking back on it, and reflecting on my current experience of designing yet another parental system for a client in the Middle East, I’m led to believe that as designers, it should be our job to foster a dialogue between parents and children rather than allow parents to “lock” and “unlock” their children’s experiences.